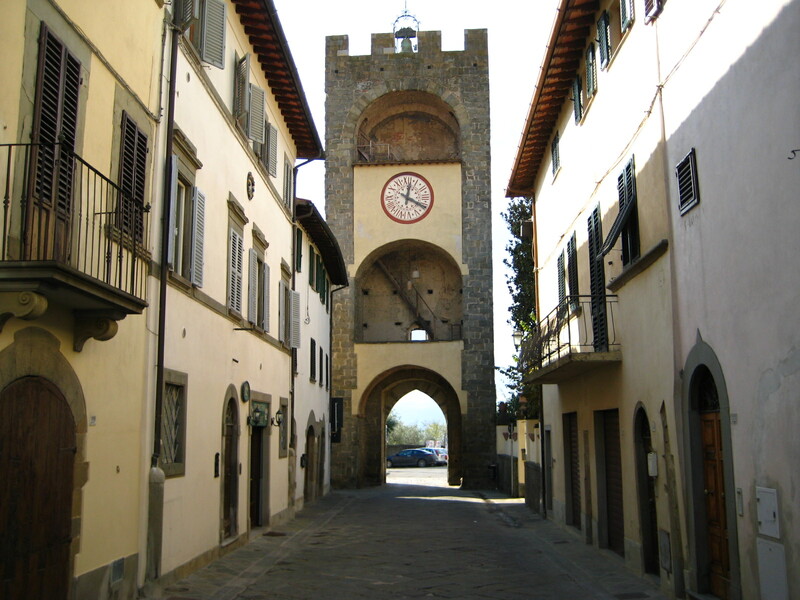 Crags and mountain peaks of Valdarno, between Florence and Arezzo, attracted attention of scientists such as Leonardo da Vinci, who used them as the back-grounds for many of his paintings and drawings. 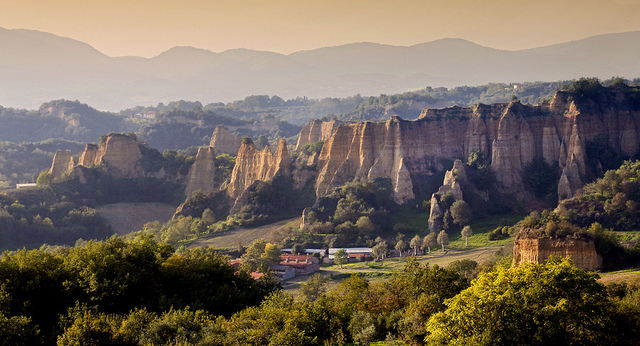 Particularly fascinating are crags of sulphureous water, not far away from the panoramic road of Sette Ponti, from which, at the junction with the provincial road of Botriolo, the medieval tower of Castelfranco framed by mountain peaks, can be seen. 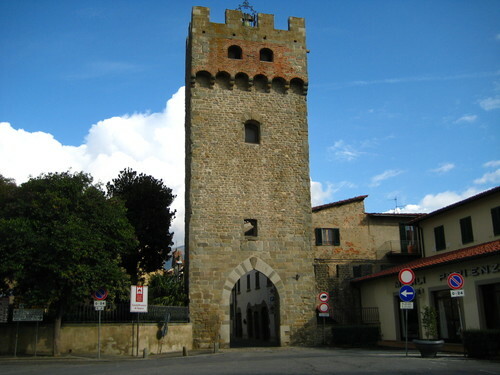 As well as other “new lands”, Castelfranco di Sopra has an urban plant that recalls the roman castrum, with its orthogonal streets and central square where almost all important buildings are assembled: the Palace of the Supreme Magistrate and the Church of St. Peter.